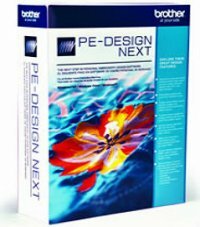 PE Design Next offers full-feature digitizing and editing software. Perfect for experienced hobbyists and home business entrepreneurs alike, this software gives you the tools to create customized original embroidery. The advanced user-friendly graphical interface makes the software as intuitive as using the most popular computer-based programs. One of the most innovative, user-friendly lettering software programs on the market. 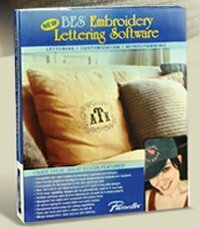 BES offers lettering functionality for all skill levels, with 3-in-1 capabilities that include monogramming, lettering and appliqué creation.Compatible with the most popular brands of embroidery machines and software. Embellish and personalize your creations with BES Lettering! The most robust, user-friendly embroidery software the industry has to offer. Generations Embroidery Software is the hallmark in automatic digitizing software for the home embroiderer. Turn Practically any design or scanned image into a one-of-a kind embroidered piece. Don't limit your creativity by using other software when you can have it all with Generations Plus!